Hoping to capture a shot of an osprey (Pandion haliaetus) snagging a fish earlier this month, I started firing my camera each time the osprey dove toward the surface of the water with talons extended, but, unlike the bird, I came up empty-handed. 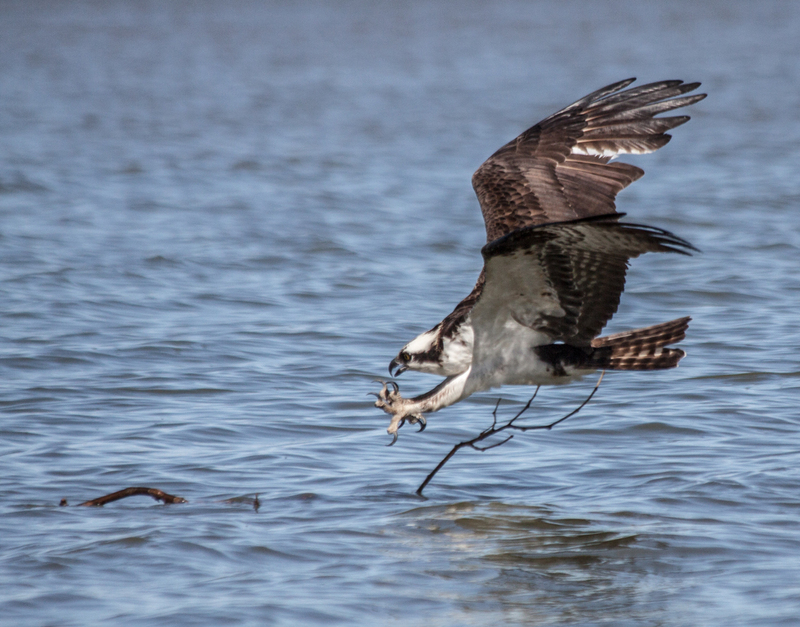 The osprey, it turns out, was not fishing for food—it was gathering building materials for its nest. 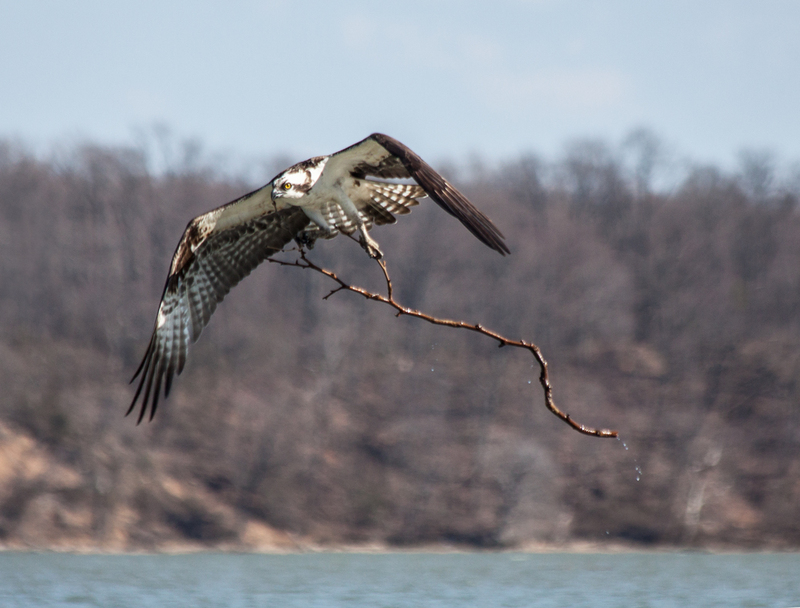 It was impressive nonetheless to watch an osprey fly up into the sky with a pretty large branch in its grasp. 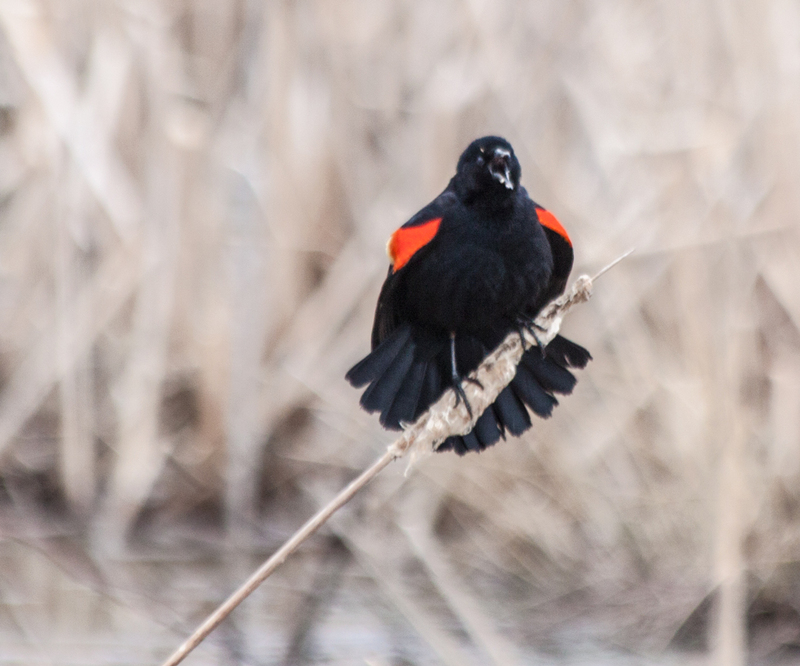 Despite the rain yesterday, the male Red-winged Blackbirds (Agelaius phoeniceus) were singing up a storm. It seemed like their entire bodieswould expand as they prepared to call out loudly. 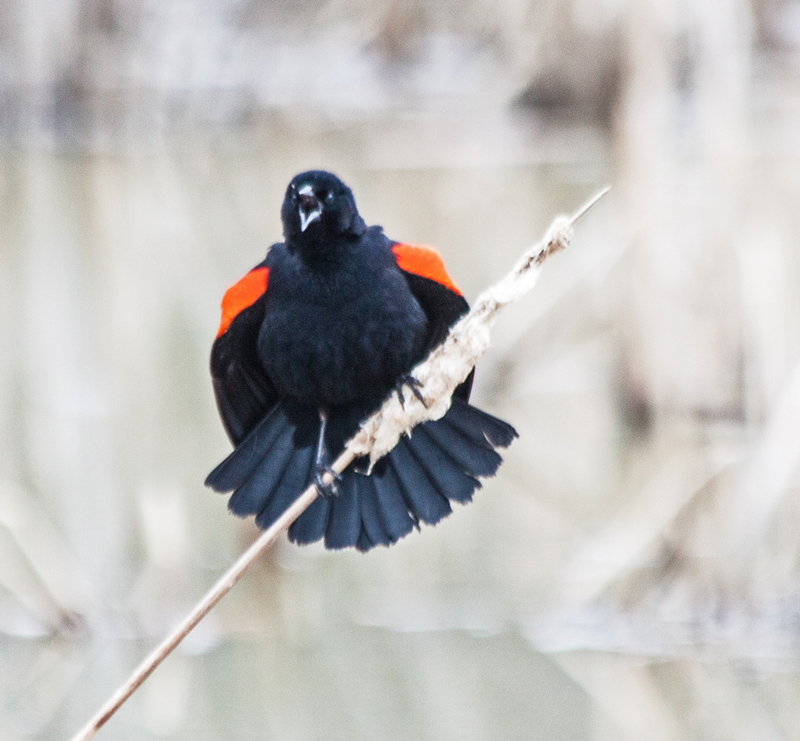 I didn’t see any female blackbirds respond to the calls—in fact, I didn’t see any at all. It’s springtime and love is in the air. 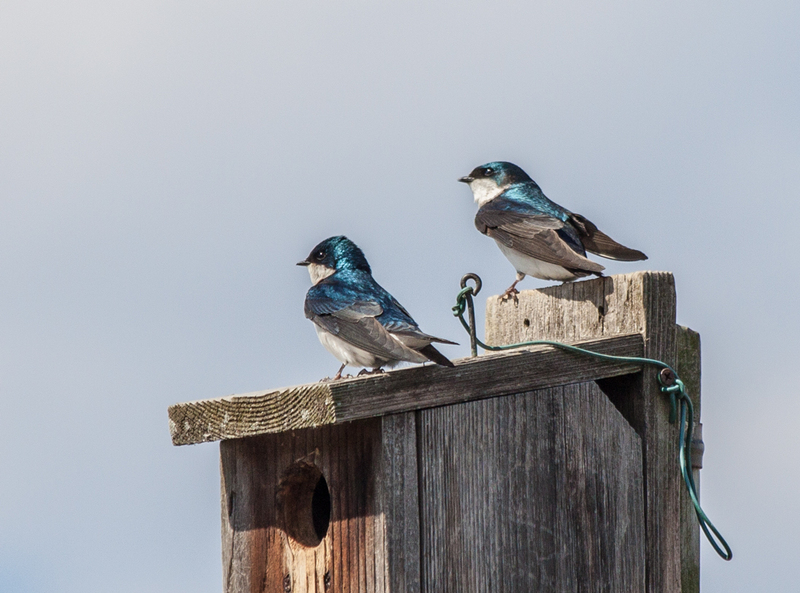 Two tree swallows (Tachycineta bicolor) seemed intent on getting to know each other better, but kept getting buzzed by a third swallow. 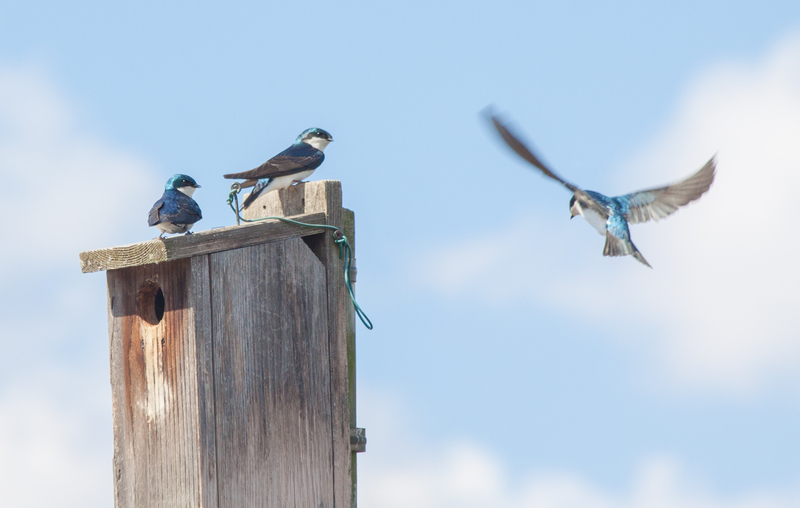 A couple of times, one of the swallows, which I suspect was the male, took off and chased away the potential rival. Like the dried-up leaves on this branch, winter is tenaciously hanging on, refusing to give way to spring. March is almost over, yet I look out the window and see that the ground is still covered with snow. Soon the monochromatic tones of winter will be replaced by the pastel colors of spring. 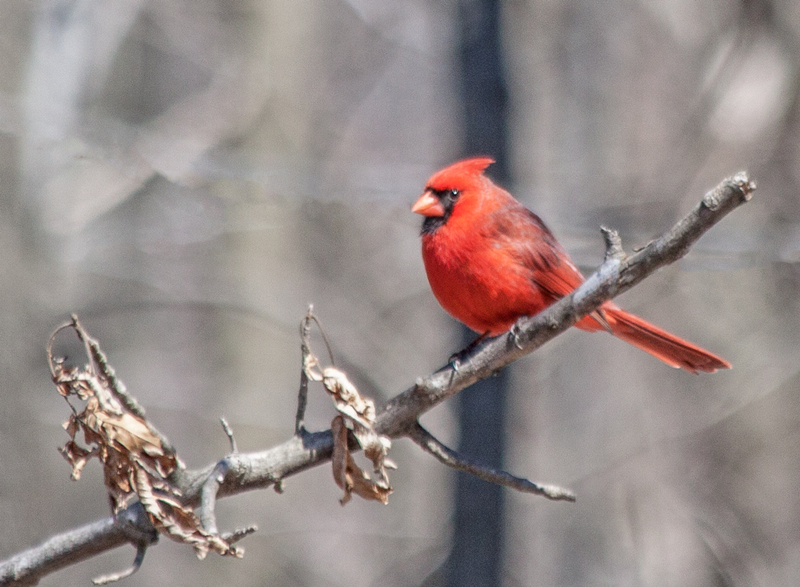 Starved for bright colors, my senses rejoice when I am greeted by bright colors, like those of this male Northern Cardinal (Cardinal cardinalis) that I observed this past weekend. 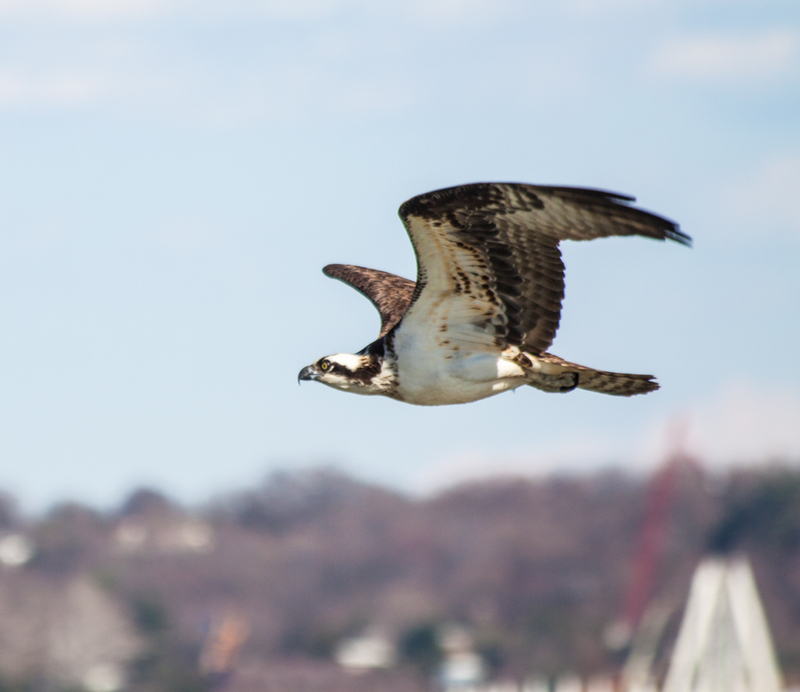 Soaring high above the earth, this Osprey (Pandion haliaetus) seemed to be relaxing, enjoying a moment of peace before getting back to the pressing job of rebuilding the nest. Can snakes whistle? It sure looks like this Common Ribbonsnake (Thamnophis sauritus) is trying hard to whistle as he purses his lips and seems to be blowing air in this series of shots. Who knew that snakes had lips? 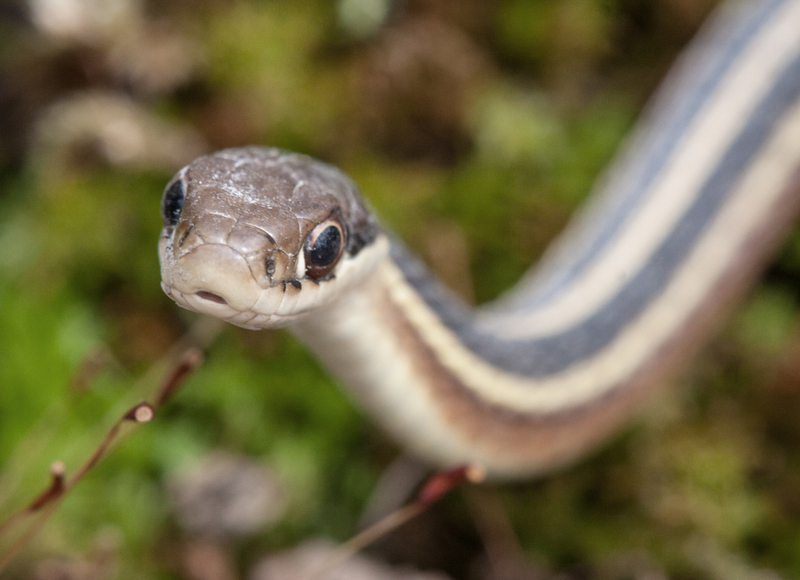 This snake has lips that rival those of Mick Jagger and look a bit like they were enhanced with collagen. 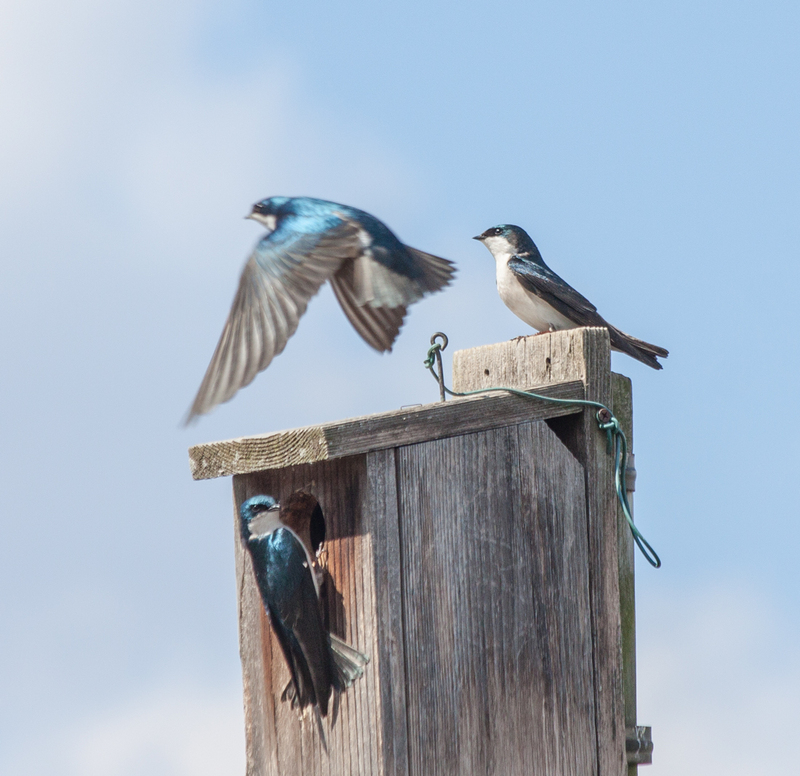 When you shoot subjects, how close do you get to them? My general rule for wildlife subjects is to shoot them from a distance (so I can be sure of getting a shot) and then move slowly closer and closer. I was amazed at how close this snake let me approach—this first shot was not cropped very much at all. I like the head-and-shoulders look of the first image (taking into account the fact that snakes don’t really have shoulders), which draws attention to the snake’s eye. At times, though, I prefer the shots that show more of the snake’s body and my favorite of this group is probably the third shot. 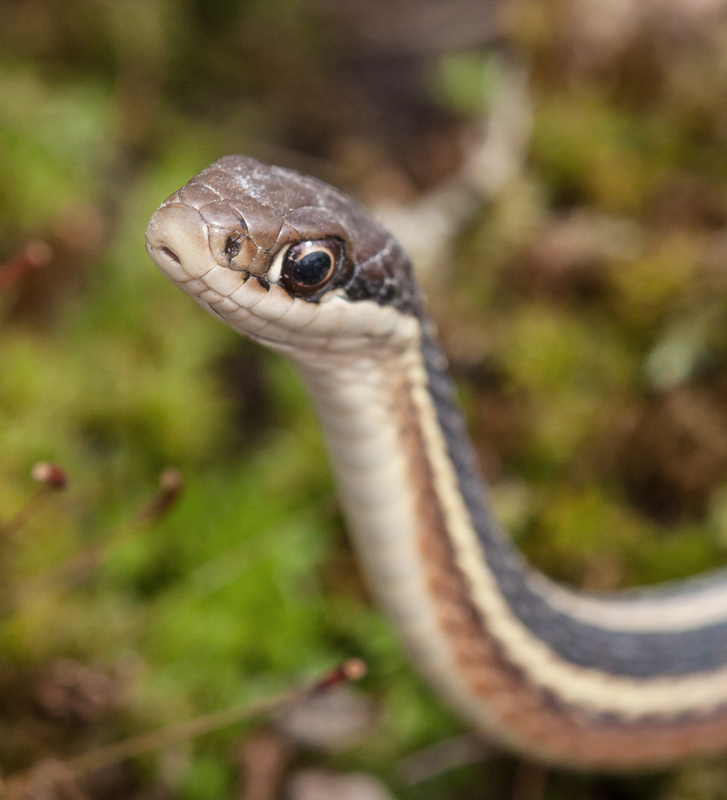 I really like the curve of the snake’s body and the tilt of its head. 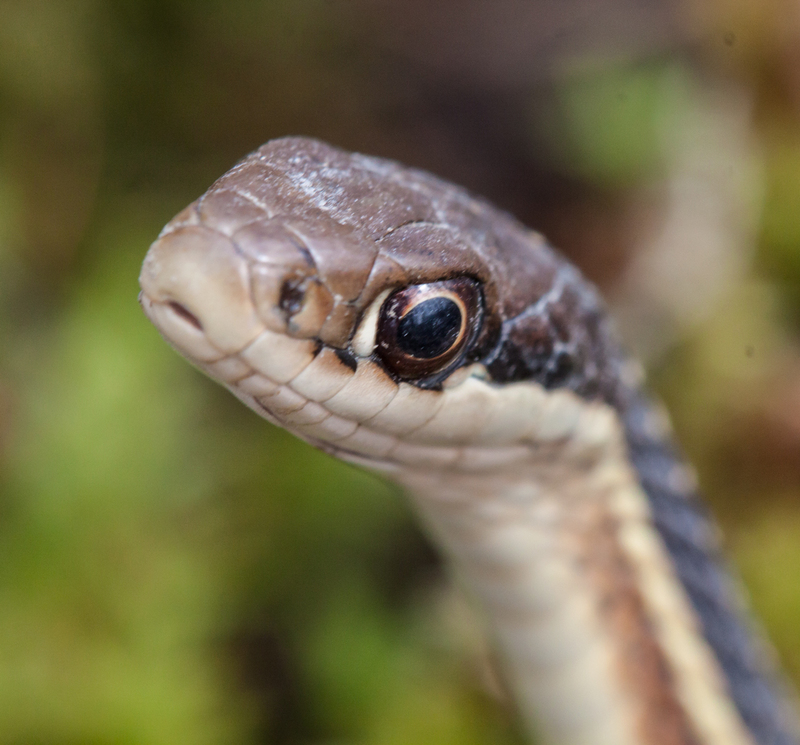 It’s hard to see in this reduced-size image, but two little tips of the snake’s forked tongue are visible in its partially open mouth. The world changed for me when I put my macro lens back on my camera, simultaneous becoming smaller and bigger. 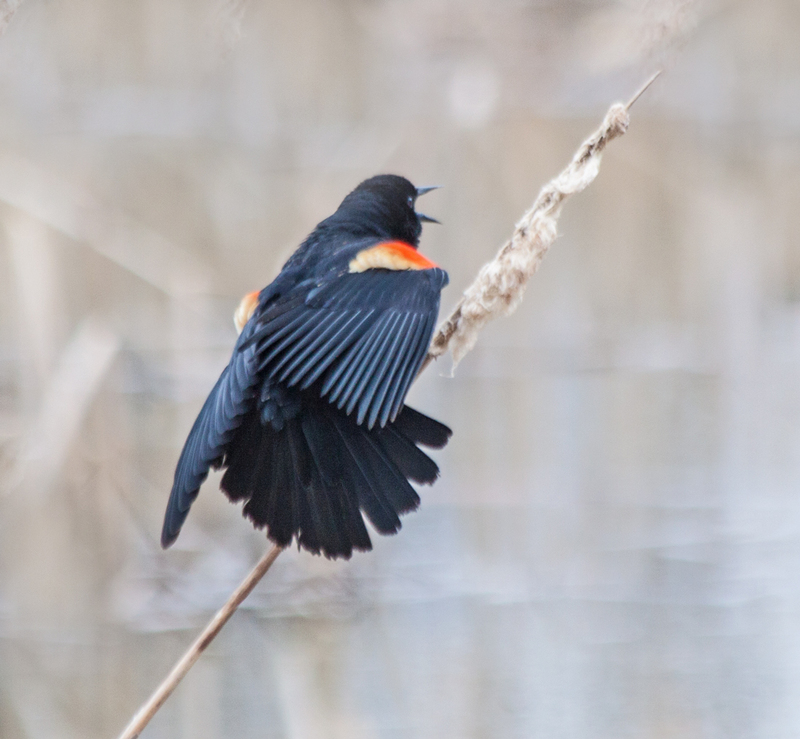 Instead of looking in the distance for birds, I switched my focus to the world immediately in from of me, searching for tiny objects that I can photograph. In vain I long for colorful butterflies and dragonflies, but it is too early in the spring for them to appear. 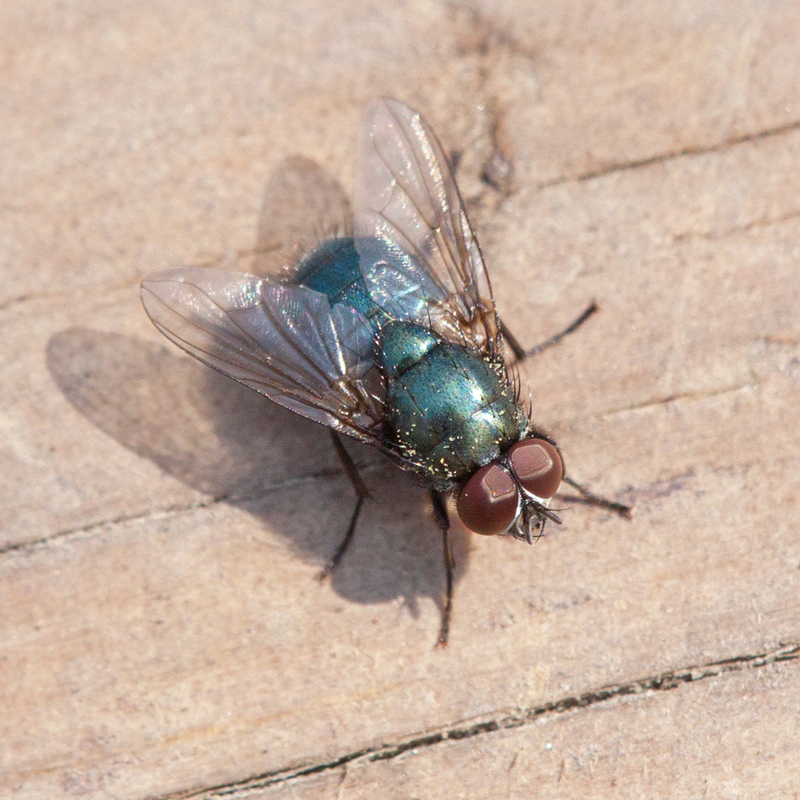 As soon as a fly buzzed by me, I was seized with an irresistible urge to capture its image. It’s only a fly (a Green Bottle Fly, I think), but it is symbolic of the joys to come, the time when I will spend endless hours chasing after insects, trying to capture the detailed beauty of their colors and patterns.